Hearthstone Homes by Ron Lee is a division of Ron Lee Homes which builds semi-custom homes based on customizable established floorplans. Because of our vast experience of building custom homes for our customers for over 24 years, we have developed quite a portfolio of specially designed, uniquely appointed, semi and fully custom floorplans which we offer to our Hearthstone Homes by Ron Lee clientele. So what is the difference between Hearthstone Homes by Ron Lee and Ron Lee Homes? There are actually several factors which separate this division of our custom home building company. Floorplan Design: At Hearthstone Homes by Ron Lee, if a customer is without a floorplan choice and would like to use one of our floorplans; we start with a choice of already designed floorplans which we have built in the past. Sometimes, it is “love at first site” when they see the floorplan, and all a customer has to do is make selections of interior amenities. However, sometimes, a buyer wants to move a wall, or a closet, or a bathroom (which entails a little bit more work) to make the floorplan exactly perfect as their dream home design. 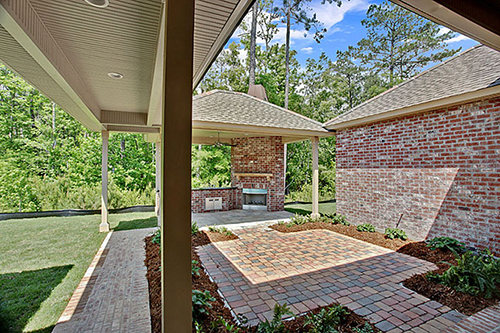 Customizable Selections: A home built by Hearthstone Homes by Ron Lee in St. Tammany Parish always has a layout of customizable selections such as flooring, cabinetry, countertops, lighting packages, fixtures, appliances, etc. However, the difference between Hearthstone Homes by Ron Lee and a custom home by Ron Lee Homes is that our fully custom selections are more limited in scope based on our suppliers. We attempt to build a semi-custom home by Hearthstone Homes by Ron Lee in a timely manner, so we use dependable suppliers and selections which are readily available and do not have to be custom ordered. We use many “in stock” items that are still uniquely designed, but they are readily available and most of the time, something which we have used before. Pricing: Typically, a semi-custom home built with unique, quality, custom features and designed exactly to our clients’ expectations is priced from the low $300’s to the $800’s. Hearthstone Homes by Ron Lee, as a division of Ron Lee Homes, builds new, custom and semi-custom homes in this price range. 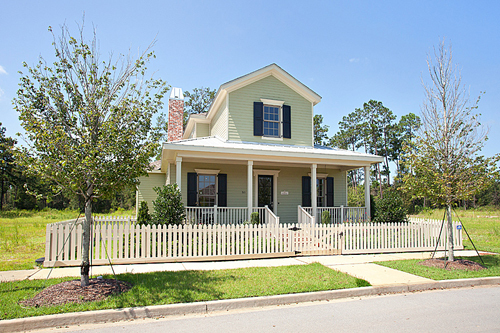 A home built by Ron Lee Homes is priced from the $800’s and above. The reason for the pricing difference mostly comes from the fully custom selections chosen by the client and added to the home. Also, homes by Ron Lee Homes can have a larger square footage and more exterior finishes such as elaborate backyards complete with custom pools and hot tubs, outdoor kitchens, and even a guest or pool house.